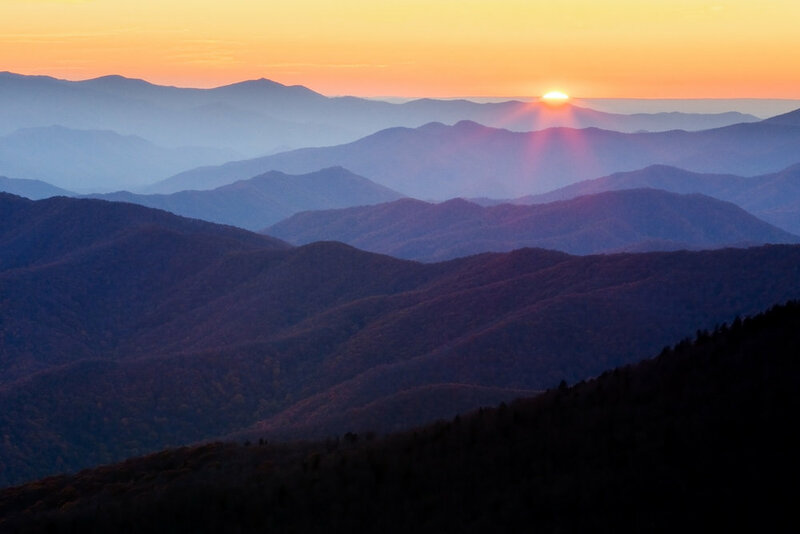 The Great Smoky Mountains National Park is informally referred to as “Wildflower National Park” and April is the best month to experience the wildflower bloom at its peak, as well as virgin green foliage, rushing mountain streams, and some of the best mountain scenery east of the Mississippi River. Join Muench Workshops pro Richard Bernabe in his “home” National Park for five days of photography in springtime at its best. 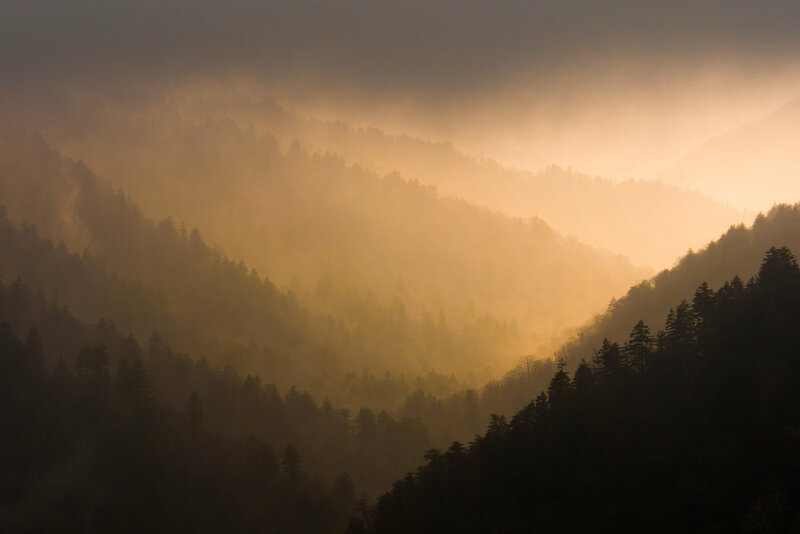 Richard has been leading workshops and teaching in the Smokies for more than 20 years—few photographers know the park better than he does. 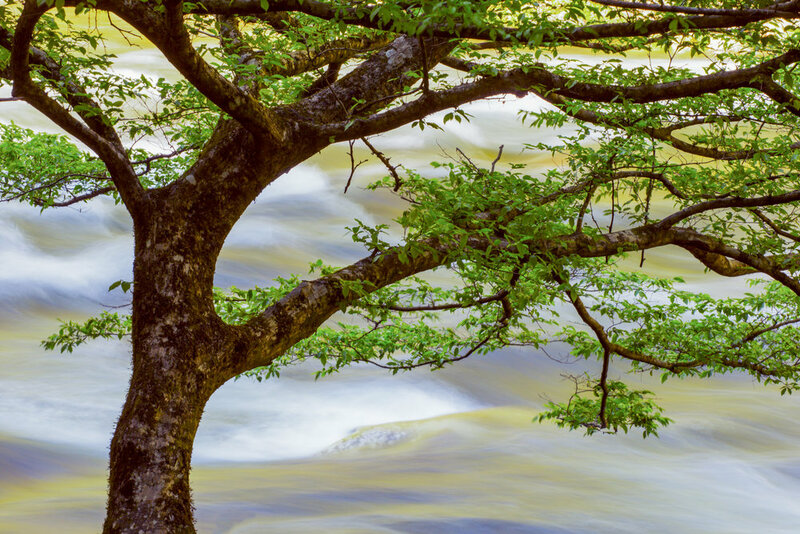 Richard will teach you how to best capture intimate landscapes of the forest, rivers, streams, and waterfalls as well as close ups of the many varieties of wildflowers blooming at this time. You will always be in the best places during the best light, and you will photograph the big-sky landscapes at sunrise and sunset with the iconic layered blue mountains and misty valleys below. There will also be plenty of time for image reviews and critiques, as well as post-processing instruction. No strenuous hiking. At most, moderate walking of no more than a half mile. April 26, 2020: Arrive into Knoxville, Tennessee Airport (TYS) before 1:00 PM today. We meet in the hotel at 3:00 PM for orientation and Q&A before going out into the park for an evening photography session along the Little River. Dinner. April 27, 2020: Early wake up call and sunrise shoot on Foothills Parkway-West. After breakfast, we will do a morning shoot in the Tremont area of the Park with river scenics and wildflowers. After lunch, will drive to Greenbrier for more river scenics, macro photography, wildflowers, and finish up at Clingmans Dome for sunset. Dinner. 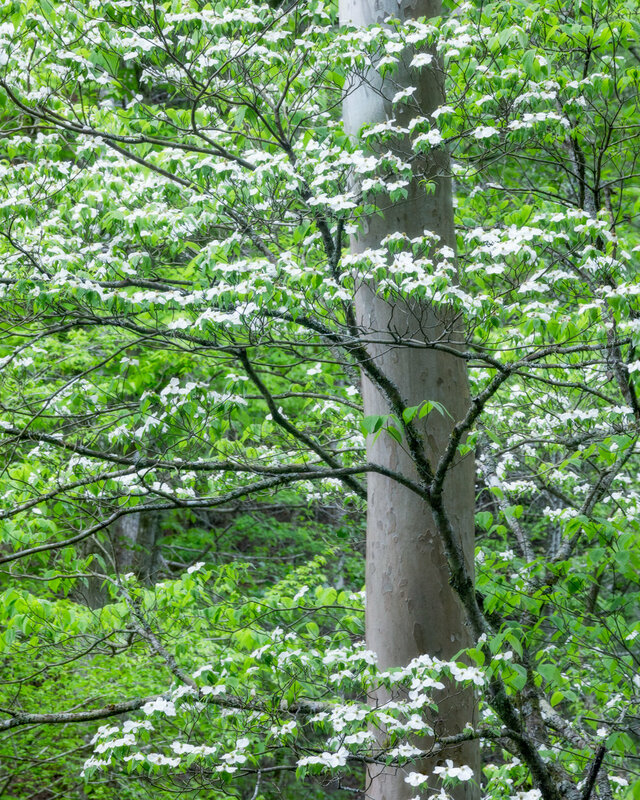 April 30, 2020: Sunrise and morning shoot in Cades Cove photographing flowering dogwoods, country roads, and old homesteads from the 1930’s. Final critique session at hotel and finish up at noon. Flights home can be anytime after 3:00 PM from Knoxville Airport (TYS). Transportation to and from Townsend, Tennessee. Items of a personal nature. Alcoholic beverages. Travel and trip cancelation insurance. Anything specifically not listed as included. Your deposit of $1,495 will hold your space in this workshop. The balance of $2,000 will be due not later than January 1, 2020. All of our standard terms and conditions apply. Need special payment arrangements for your deposit? No problem, just ask us. This workshop is strictly limited to 8 guests. If you have interest, don't delay, click the "Sign Me Up!" button and we'll see you in the Smokies! Got questions?